Biology in Science Fiction: Should The Mammoth Return? The mammoth hair used for sequencing was not found in the wreckage of a small town ravaged by a rampaging Mammoth. The latest science story that has taken the fancy of the popular press is the news that a small team of scientists at Penn State University have sequenced the woolly mammoth genome using DNA recovered from the hair of two mammoths. The sequence revealed that woolly mammoths were more genetically similar to modern elephants than previously thought. The mammoths also appears to have low genetic diversity, which may have made the species "especially susceptible to being wiped out by a disease, by a change in the climate, or by humans." I think that's pretty interesting news, but of course that isn't what what is making it burn up the airwaves and internet tubes. What's captured the public imagination is a comment by one of the lead scientists on the project, Stephan C. Schuster, that elephant DNA could be modified at the 400,000 or so positions where it differs from the mammoth, then used to create an embryo that would be carried by an elephant. The result: a baby woolly mammoth brought back from extinction. And all for the low, low price of $10 million! I think tedious and expensive are relatively easy barriers to overcome, since even in these difficult economic times there are wealthy people who are looking for projects to spend their money on. A single cloned woolly mammoth wouldn't exactly be enough to create a Pleistocene Park, but it could be a step in that direction. And more in my own areas of interest: do we really have the right to bring something back from the dead? Can we assume that it died for a reason, and we might really be mucking with things to undo that? If we regenerated a mammoth today, would it have the right foods to eat? How would its immune system handle common viruses? Would the climate be right? Where would it live? Are they herd animals, or can they be solitary? It's already controversial to keep elephants in zoos. 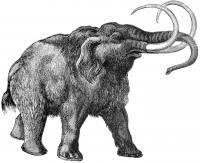 Would it be cruel to resurrect a lone mammoth for a life of possibly very uncomfortable captivity? And what would science gain by the experiment? "From a scientific perspective, I think we would learn very little from doing this. 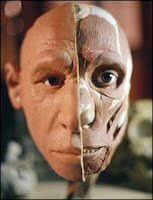 A lot of what you want to learn about body plan and tissues we can get just by studying the carcasses," said Schuster. "I would file it under the category of boutique science. The public is very curious. But you'd just generate a few specimens, a freak creature that you could put on display." Considering the close similarity between the human and chimpanzee genomes, I doubt there would really be much difference between chimp and human genomes modified to be "close" to Neanderthal DNA. For me, at least, the ethical considerations would be the same using either approach: what would we gain by creating a lone Neanderthal, beyond the "gee whiz" factor? What if the Neanderthals turn out to be smarter than us—a distinct possibility? Wouldn't they take over all the good jobs, like university professors? And what if they turn out to be stupider than the average human? Don't we already have enough creationists? I wonder if the people opposed to this would be in favor, say, of bringing back the Tasmanian wolf? Is it somehow more moral, more ethical, to resurrect a creature extinct due to humankind's interference? Personally, from what I've read, it's a long shot in any case. But, the question is not whether to do it in a single case, rather, where to stop. This is my first comment, but I've read this blog via an RSS stream for some time. Very nicely written, all of it. Thank you for your work. Personally, I think the same ethical considerations do apply to bringing back species that went extinct more recently. It's difficult right now to bring back a single animal. It would be even harder - maybe impossible - to bring back enough variants to make a viable population. And even if we could, where would they live, assuming that the forces that made the species go extinct are still active? I will bet you dinner at a good restaurant that the exact same people who scream bloody murder at the idea that humans are related to apes ("descended from apes" is how it's usually phrased) would also scream bloody murder about the idea of engineering a Neanderthal embryo from chimpanzee DNA, and for pretty much the same reasons. It's your basic knee-jerk reflex. I just found this blog. Do you have a LiveJournal feed? I'd like to recommend you to my friends there. Lee: I think recreation of a Neanderthal would cause a big problem for the creationists - they wouldn't be able to pass of those old fossils as simply "apes", but I think it would be clear that they aren't quite human either. Sorry I don't have a LiveJournal feed. You can subscribe to the feed here using an RSS reader like Google Reader or My Yahoo. You can also get new posts delivered by email. See the sidebar for details. However, it should be pointed out that mammoths are indeed on the list of "recent animals wiped out by humanity", along with the Tasmanian Wolf and Passenger Pigeon. And they roamed across North America and Eurasia when the climate was both warmer and colder than it is today. The only reason they really went extinct was they either got pinched by both climactic change (which causes a species to be in flux even if it does end up surviving) alongside human incursion, or else they ended up being around when humans did, killed off in a manner which could be characterized as more mass extinction than normal natural selection. A point could be made at not bringing back any creatures older than the Pliocene, i.e. dinosaurs, terror birds, brontotheres, synapsids, but these are animals who still have a niche in the modern world. There are plants today which have evolved to be fed on by mammoths and mastodons in order to spread their seeds. And indeed there is quite a bit of mammoth real-estate left, in Siberia, Alaska, Canada, and parts of the continental U.S. The one thing that I would worry about though is that compared to other animals, mammoths put a lot of emphasis on development and learning, and so it might be difficult to raise a healthy herd to adulthood. Still, mammoths don't have any traits which would seemingly make them ill-equipped to survive in the modern world, such as the passenger pigeons's need to live in huge flocks and feed on fickle food resources, or the Carolina parakeet's habit of flocking around fallen members of its group.